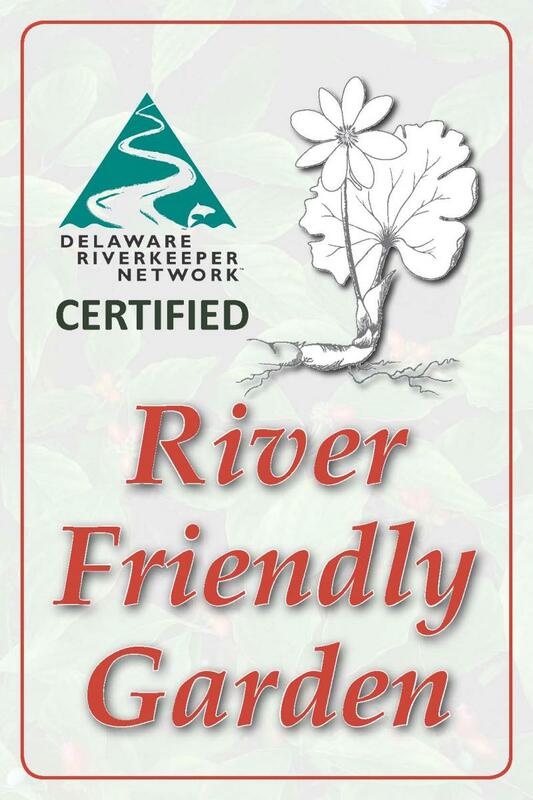 Welcome to the River Friendly Gardens Certification application page. One of the most important things you can do for our rivers and water supplies is to reduce stormwater runoff. You can reduce runoff by installing trees, shrubs, and other plants which soak up the rain. You can also reduce runoff by increasing infiltration of rain into the soil which helps feed groundwater; that water in the ground then slowly seeps out into streams, and can filter down to aquifers for improved water supplies.Perhaps you can re-use the rain using rain barrels. All of this helps reduce flooding and improves water quality. Therefore the primary consideration for River Friendly Garden Certification is to reduce storm water runoff. Manage storm water runoff on your property to be 40% or less of the total rainfall on your property (excluding roof areas and water areas); bonus reduction-credits are given for rain gardens,rain barrels, dry wells, infiltration trenches, no irrigation use, no use of chemical herbicides/pesticides/fungicides, and native species. It will take about a half hour of measuring on your property (depending on the size) and about a half hour to input/review your information online. Please login or register to apply for a River Friendly Garden Certification.